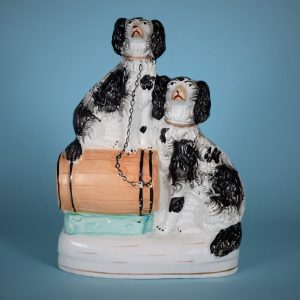 Staffordshire Spaniels With a Barrel. 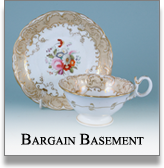 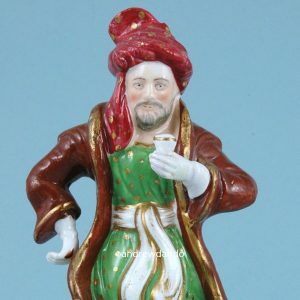 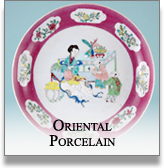 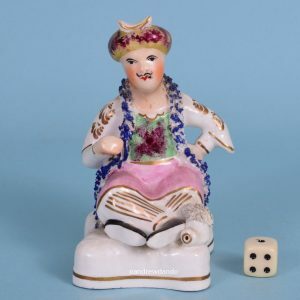 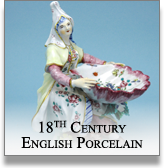 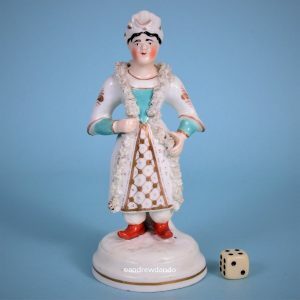 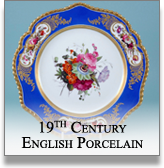 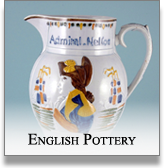 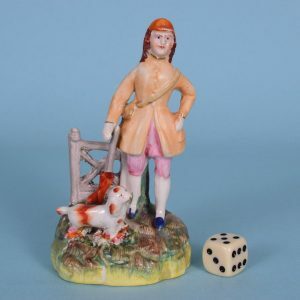 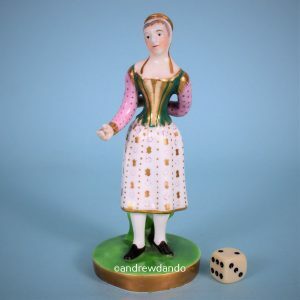 English Porcelain Theatrical Figure – Broom Seller. 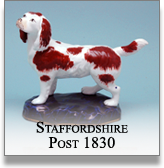 Staffordshire Dog Rescuing a Child. 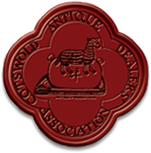 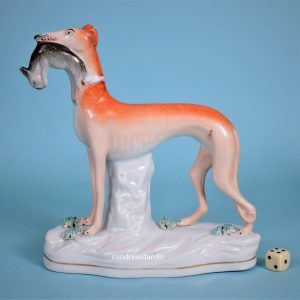 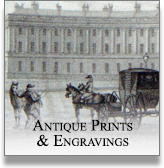 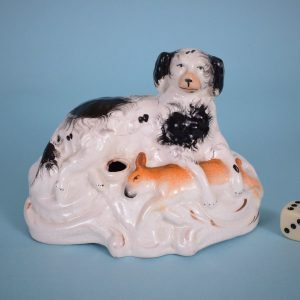 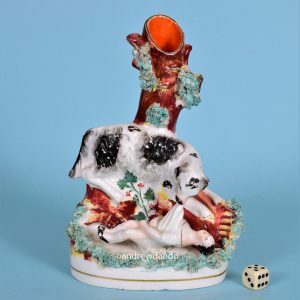 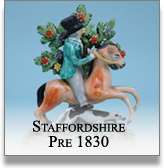 Miniature Staffordshire Figure, Man With Dog. 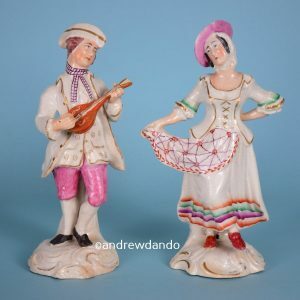 Pair of Staffordshire Figures, Musician & Dancer. 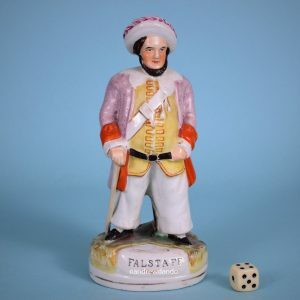 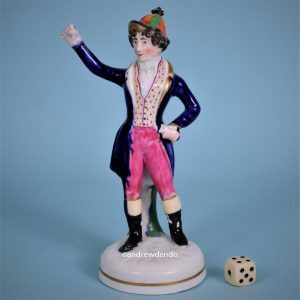 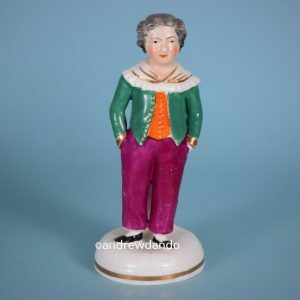 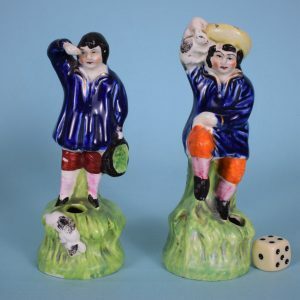 Staffordshire Porcelain Figure of a Boy. 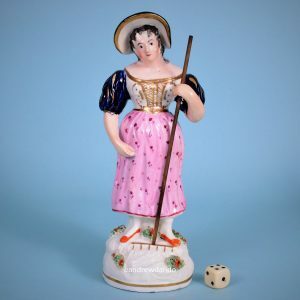 Antique Staffordshire Porcelain Figure of a Girl Holding a Rake. 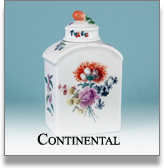 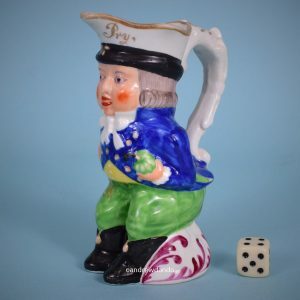 Staffordshire porcelain ‘Paul Pry’ miniature Toby Jug.